Chicago native James Holzhauer, aka 'Jeopardy James,' keeps on rolling on the game show, and has now won the second-most prize money ever on the long-time running game show. Professional sports bettor and Chicago native 'Jeopardy James' Holzhauer won Monday's episode for his eighth victory, and has now totaled $460,479 in prize money, more than anyone except Ken Jennings in the show's nearly 35-year history. Jennings won $2,520,700 after winning 74 straight games, but his $34,064 average per win was far lower than Holzhauer's record of $57,560 for a streak that long. Holzhauer, a graduate of Naperville North High who [we spoke to last week via email](https://www.betchicago.com/sports-bettor-james-holzhauer-chicago-jeopardy-record), continued playing his usual atypical style Monday, starting from the bottom of categories and working his way up and jumping around seeking the Daily Doubles. Holzhauer, who now resides in Las Vegas, actually misfired on a Daily Double in the Jeopardy round Monday after going all-in, so he went into Double Jeopardy in second place. But he amassed more than $30,000 in Double Jeopardy to make Final Jeopardy a moot point, but he added another $10K by correctly responded to an answer about [the Iwo Jima stamp](https://www.mysticstamp.com/Products/United-States/929/USA/). 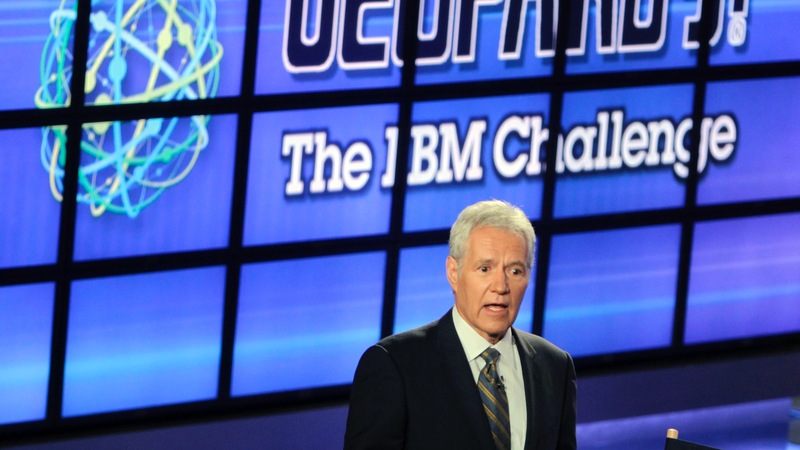 __MORE:__ [Complete coverage of Tiger Woods' historic win at Augusta](https://www.betchicago.com/golf-odds/home) The 34-year-old Holzhauer burst onto the Jeopardy scene by winning a record $110,914 on Tuesday's program. He's become known for making the all-in poker motion when trying to double up on Daily Doubles, for risking amounts with the numbers of significant dates to him (anniversary, daughter's birthday, etc.) and for giving birthday shoutouts to friends when revealing his Final Jeopardy responses. "I'm running out of friends," he joked Monday. During the episode, he also revealed what he may do with his winnings. He said he and his family may pick 12 cities in the world and live in each for a month, calling it "the dream year." The Vegas sportsbooks might miss him, but they'll make do. <a href="https://www.youtube.com/watch?v=GtvFumZEJNk" class="embedly-card" data-card-width="100%" data-card-controls="0">Embedded content: https://www.youtube.com/watch?v=GtvFumZEJNk</a> __PLAY:__ Our [free daily contests](https://betchicago.chalkline.com) for the chance to win a BetChicago prize pack.